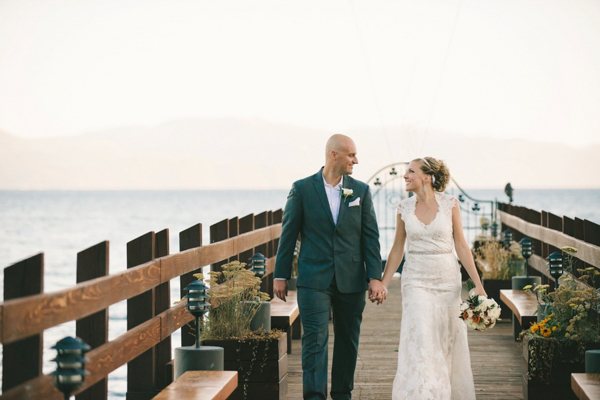 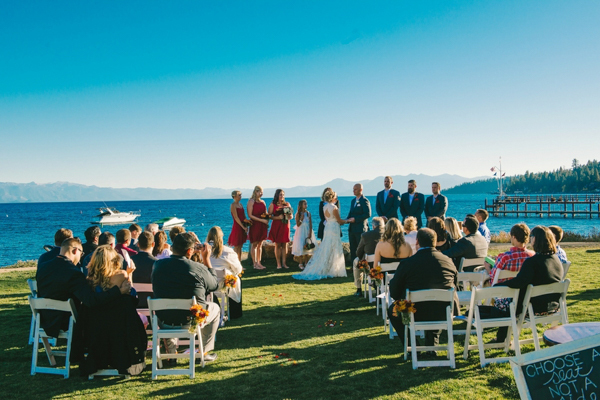 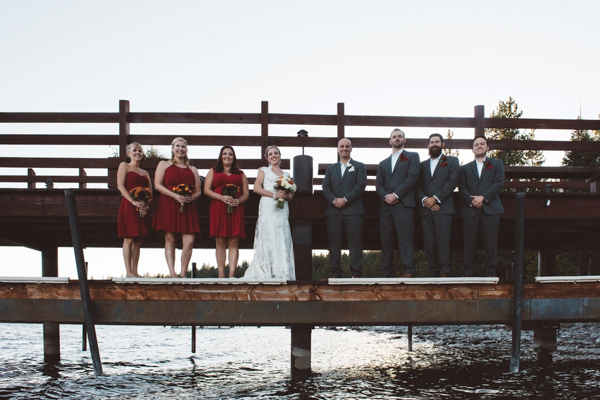 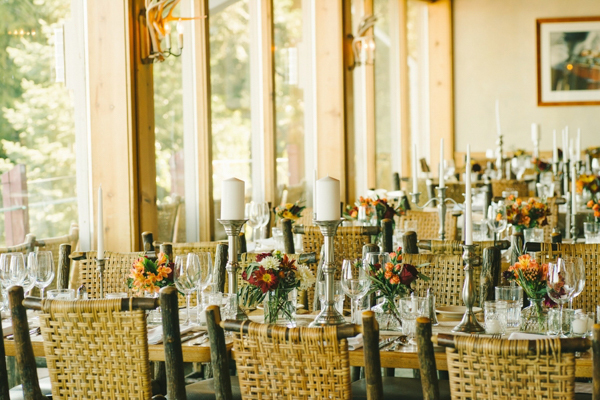 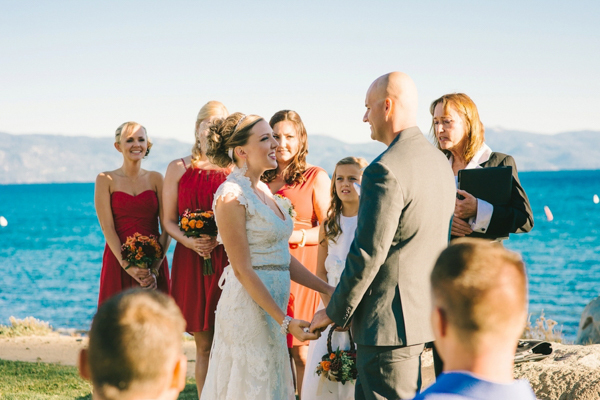 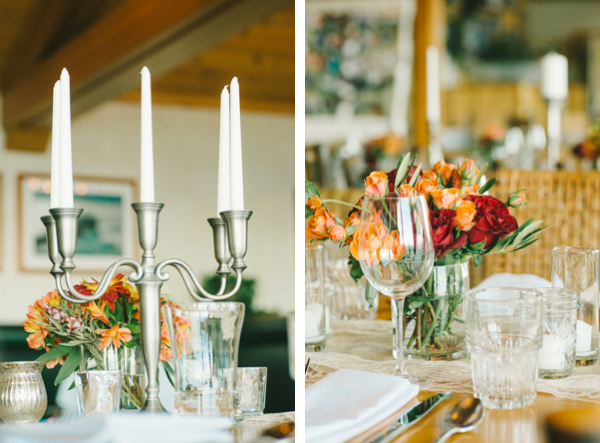 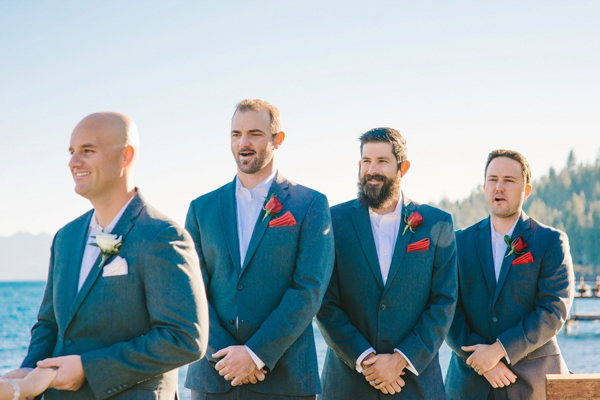 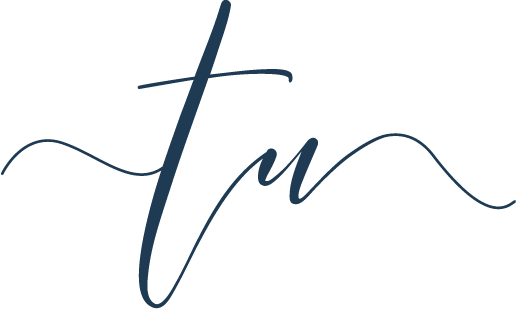 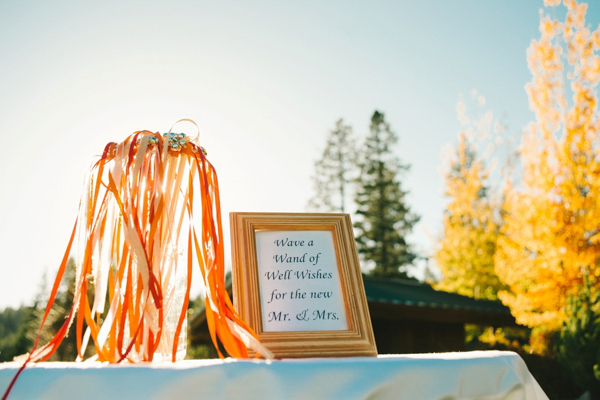 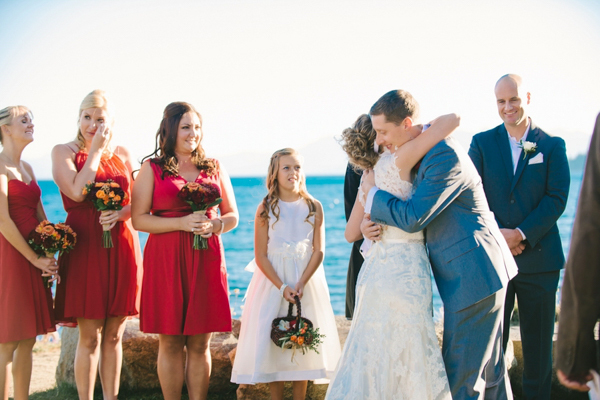 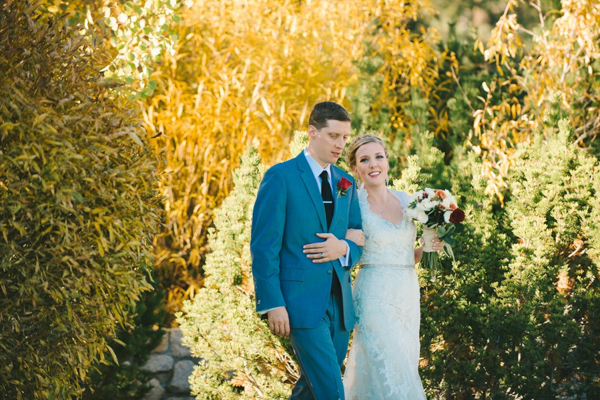 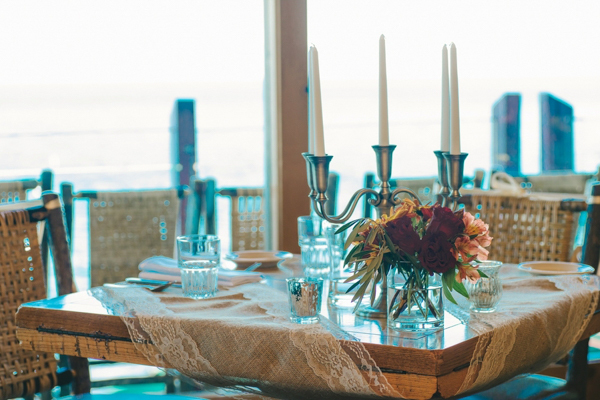 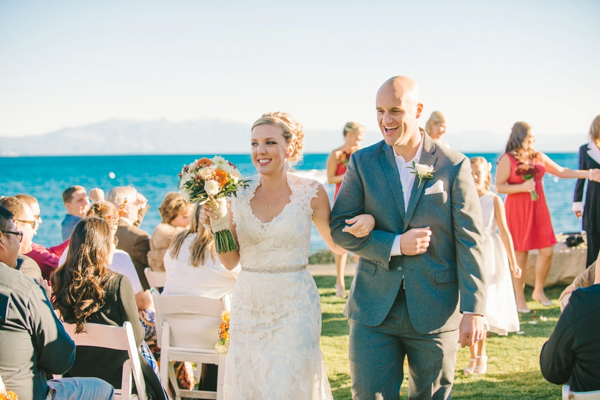 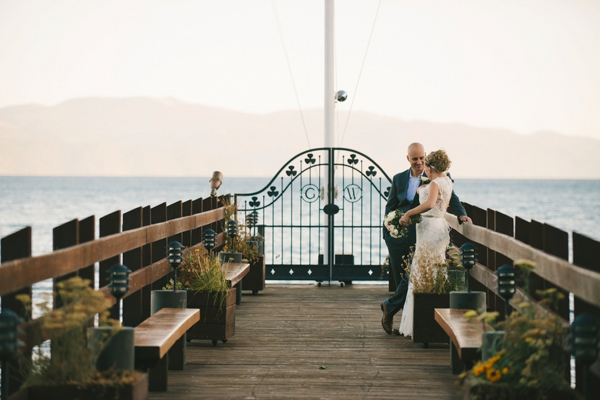 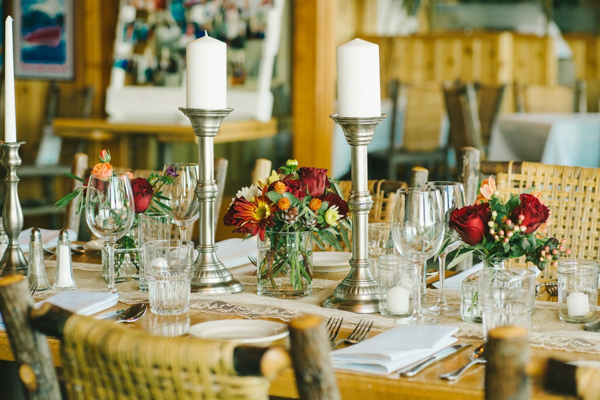 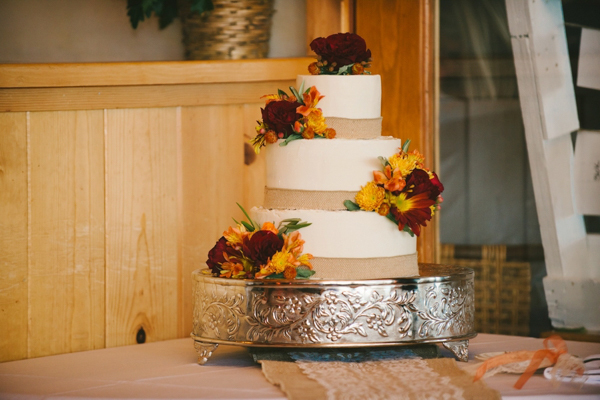 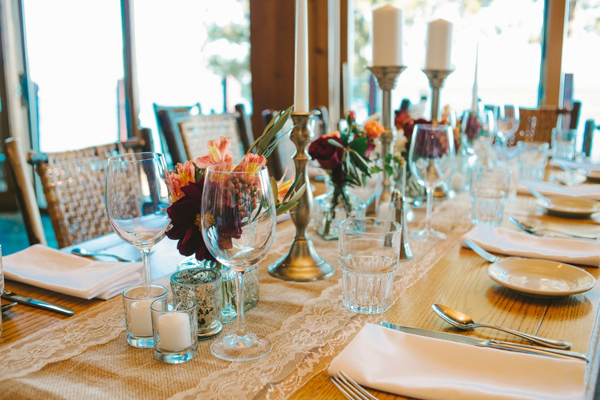 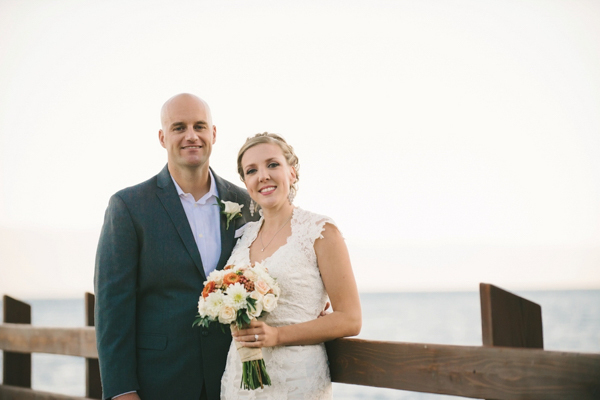 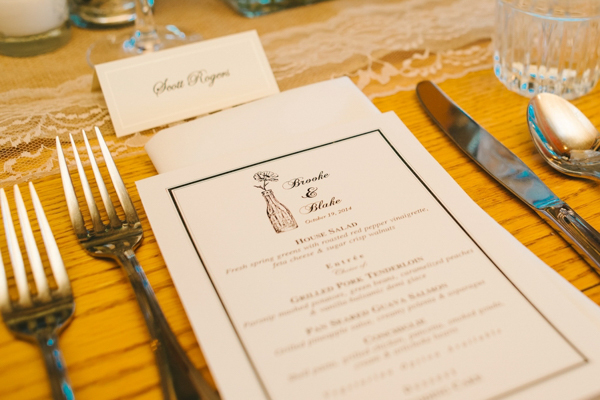 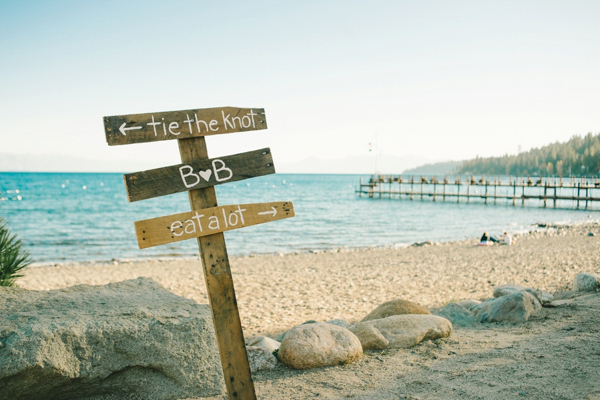 This autumn Lake Tahoe wedding was held at Gar Woods Grill and Pier in which the warm color palette carried the feel of the day. 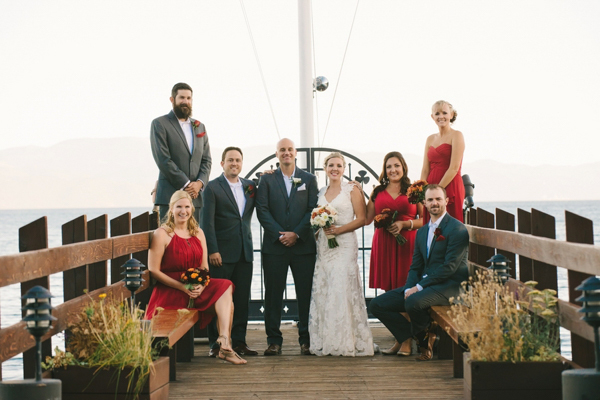 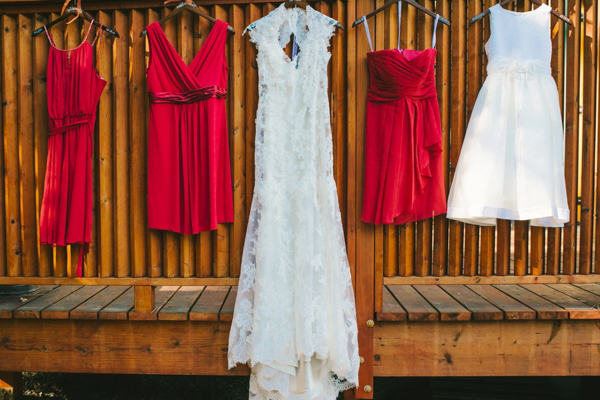 Rich hints of red, golds and dark greens were present throughout the ceremony and reception. 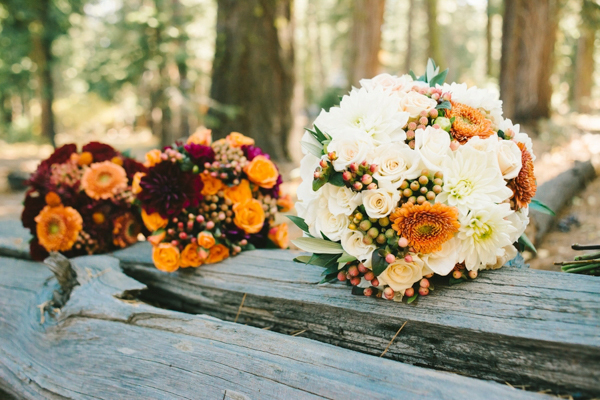 Such as in the bridesmaids' dresses, centerpieces and surrounding nature. 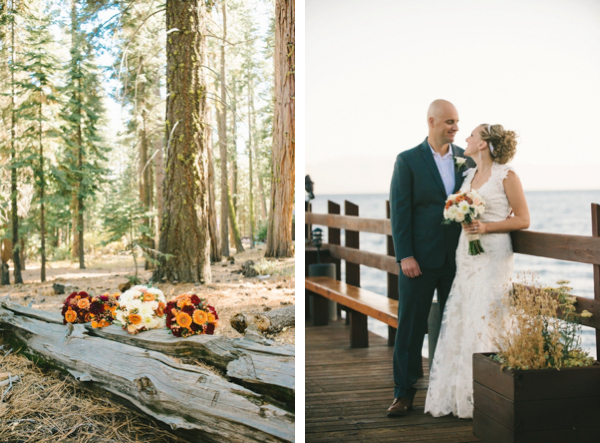 Their lovely lakefront wedding ceremony was held outdoors amongst the gorgeous changing leaves of fall, featuring bright gold yellows, oranges and dark greens offered by the surrounding pines, with touches of red via romantic red roses. 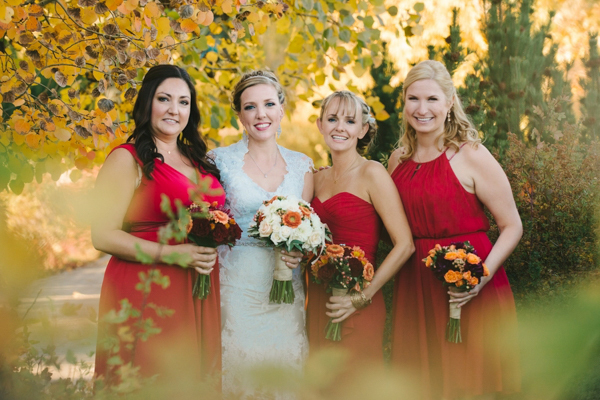 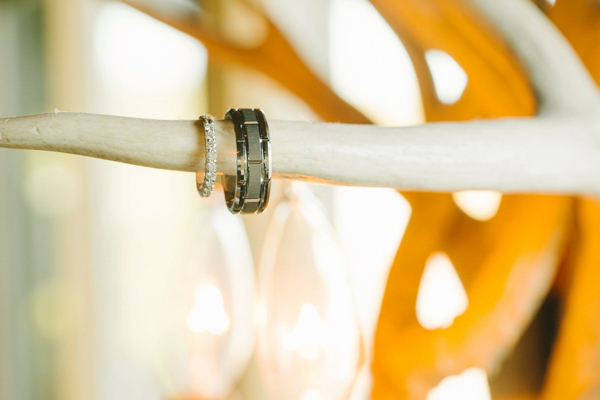 The beauty of the day was artfully captured by Lauren Lindley Photography.